Purchased by J. Pierpont Morgan (1837-1914) in 1912. 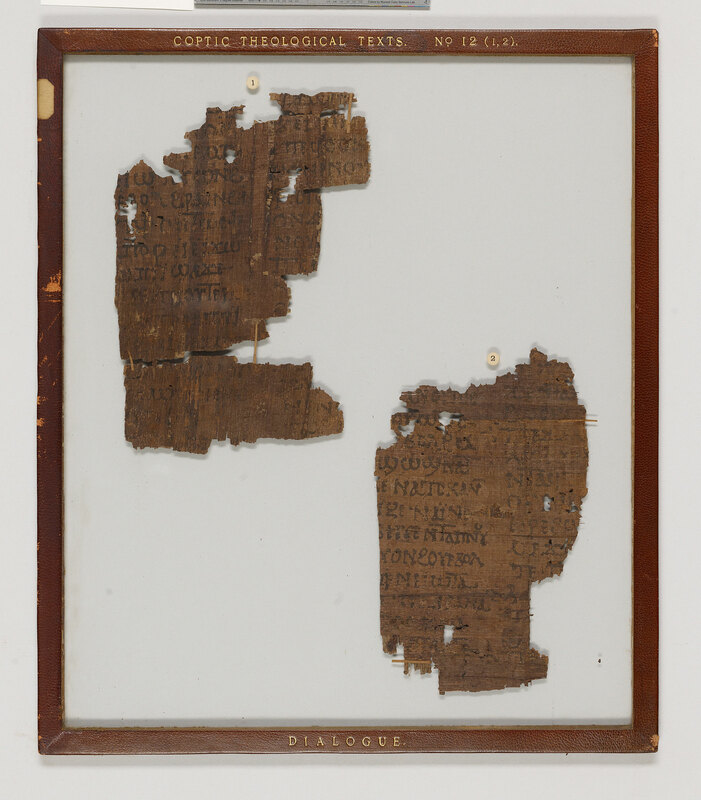 Brought to a dealer in Luxor from Hū, ancient Diospolis Parva, according to Archibald Henry Sayce, who saw the manuscript at Luxor before its acquisition; purchased by Lord Amhurst Tyssen-Amherst, 1st Baron Amherst of Hackney, in the winter of 1905-1906; purchased by J. Pierpont Morgan (1837-1913) in 1912; J.P. Morgan (1867-1943). Amh. Copt. Pap. 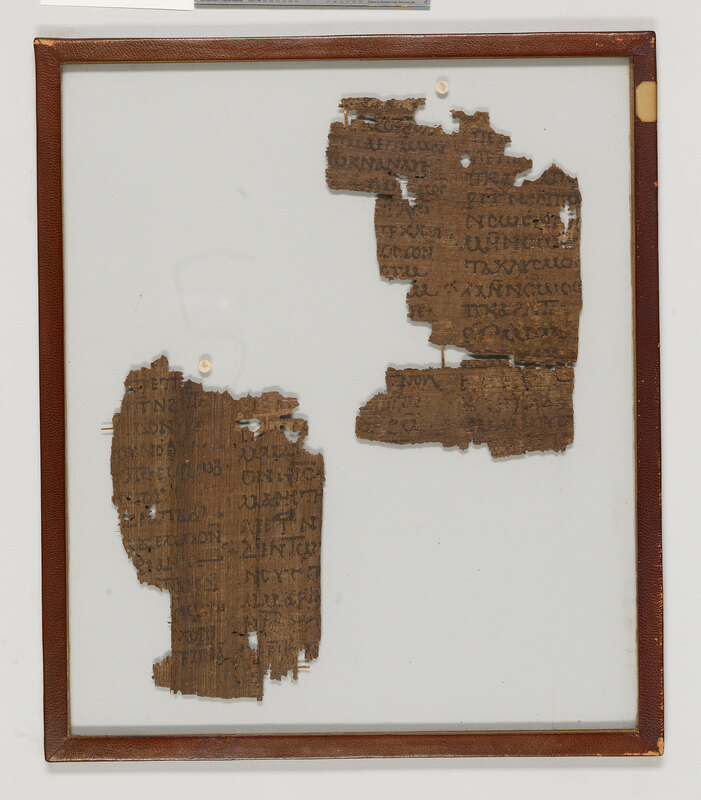 12: Manuscript fragments from three leaves of a papyrus codex which contain a dialogue (Erōtapokrisis? ); written in Egypt. Contains questions by Anatolius and Militius (i.e. Meletius?) are answered by Ba[---] (suggested by Crum to be Bachius). Edited and translated into English by Crum. Divisions: Paragraphus sign (obelus) setting off paragraphs; no initials. Superlineation: ? Punctuation: Raised dot in conjunction with a space. Tremas. Collation: ? No remains of signatures, quire ornaments, monograms, headlines or catchwords.